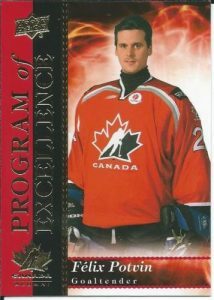 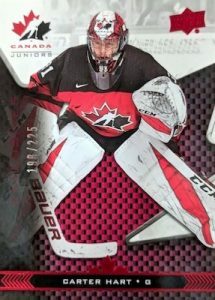 2018 UD Team Canada Juniors - Hockey Card Checklist	Overall rating:	5	out of 5 based on 1	reviews. 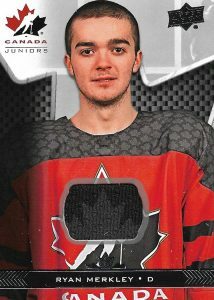 2018 UD Team Canada Juniors is the annual celebration of Canada’s national junior hockey team. 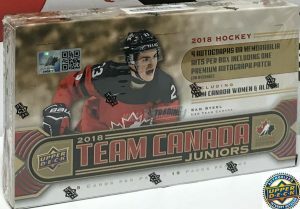 Using the same format as last year, the release offers 4 hits per box, including a guaranteed premium swatch autograph. 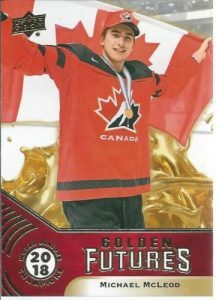 The pool of players includes members of both the men’s and women’s teams, as well as some of the all time greats such as Gretzky and Brodeur. 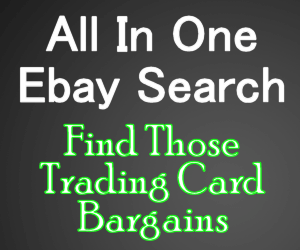 Lucky collectors could find a Base Black Autograph parallel that is serial numbered out of 5. 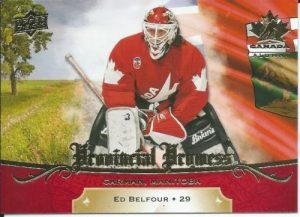 This year’s release offers an attractive design and a fair price point, meaning that it will likely be a hot seller.